What are the names of the angels? Angels are a very important part of our spiritual life. The Urantia Book states unequivocally that they are real and there are many types such as archangels, guardian angels, and seraphim. Angels are part of the vast hosts of personal beings spanning the personality range between the Infinite God and humankind. TruthBook provides definitive information on these unseen ministers who inhabit and help manage what you see through the Hubble telescope. Angels guide, teach, and protect us. Only the pure spirit fragment of the Universal Father that dwells within the heart of each person comes in closer spiritual contact with humans than angels do. The better we understand these devoted and exquisite helpers, the better we will come to love them and cooperate with them in their efforts to help us reach our own high spiritual destiny. 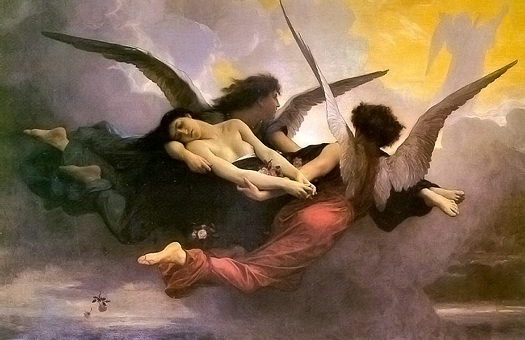 When a seraphic pair accept guardian assignment, they serve for the remainder of the life of that human being. The complement of being (one of the two angels) becomes the recorder of the undertaking.